I have been working on a piece of research that will address how museums develop their collections. I happened to choose the example of Attic red-figured lekythoi attributed to the Brygos painter. I thought it would be interesting to see where such pieces first surfaced and how many have find-spots. There are 31 examples in the Beazley Archive database. The distribution is perhaps telling. Only one piece comes from Greece: Eretria on the island of Euboea. 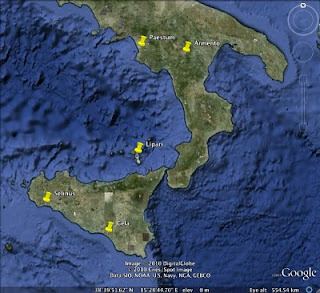 Eight leythoi have been found on Sicily: 7 at Gela, 1 at Selinus. A further example was found on Lipari. 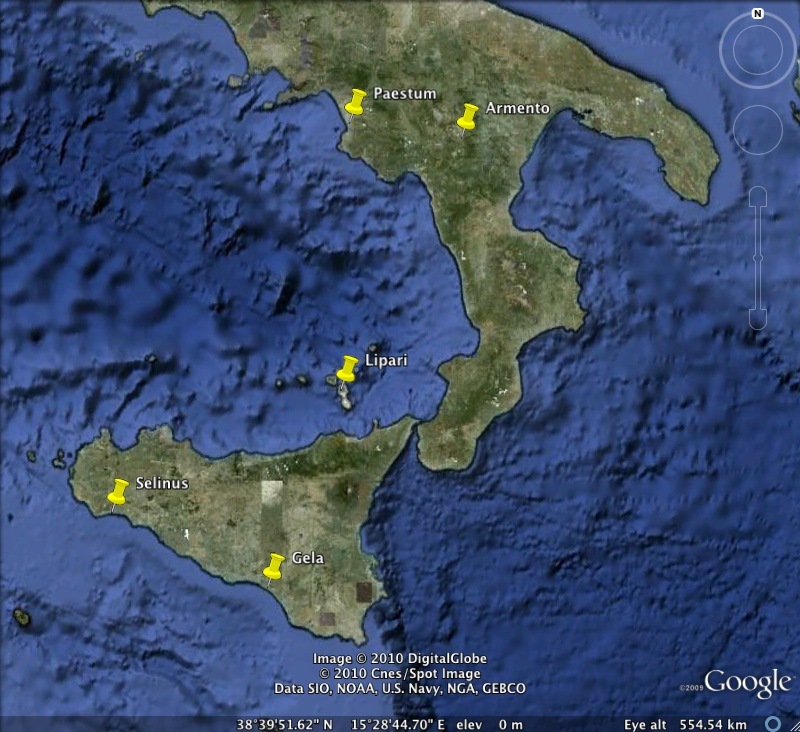 Two singletons have been found in southern Italy: at Paestum and Armento. A further example has the general find-spot of 'Italy' and another formed part of the Hamilton collection and probably came from the area around Naples. In other words, less than half the lekythoi have any sort of indication where they were found. But what about the others? Some were collected well before the 1970 UNESCO Convention. Eleven do not have a stated source (some of those are recent, i.e. post-1970, acquisitions; others, such as in Berlin, Boston and New York, are older). Three surfaced through the Swiss market and one through a Swiss private collection. One appeared through Sotheby's in London, and another through Robin Symes. I have commented on the intellectual consequences of such lost contexts for Athenian pottery before (e.g. the Sarpedon krater; the Berlin painter). Were any of the seventeen lekythoi without recorded find-spots found at Athens (or in Attica)? How many were removed from archaeological contexts in Sicily (or even Gela)? What about from sites in southern Italy?